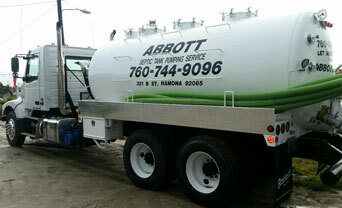 Abbott Septic Service was founded in 1946, making it one of the oldest septic service companies in San Diego County. Our locally and family owned business has served thousands of clients over the years and become known for our exceptional service. 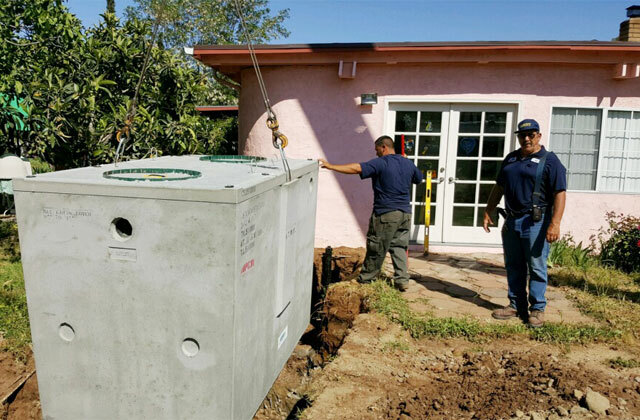 Today, we provide the highest quality septic tank pumping, repair, and installation services available in Vista, San Marcos, Escondido, Ramona, Poway, and surrounding areas, yet we keep our prices fair and competitive. When it comes to your septic system, we know you want reliable results. That's why all of our technicians are experts in all aspects of septic tank service. They have an average of 20 years of experience and many are certified by the Portable Sanitation Association International (PSAI) and are members of the National Association of Wastewater Technicians (NAWT). As a result, you can count on them to apply the industry's best practices for septic tank installation, repair, and maintenance in order to give our clients septic systems that are durable, high performing, and long lasting. Abbott Septic is a fully licensed and insured Class A general engineering contractor. We're available seven days a week and always do our best to accommodate last-minute and emergency service requests. We perform all work to code, and back our repairs and installations with a one-year warranty. 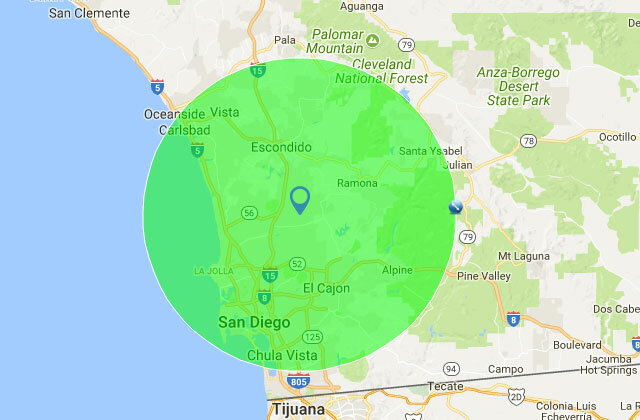 Call us today for the best value in septic services in Escondido, San Marcos, Vista, Ramona, Poway, and other nearby cities. Under most circumstances, a standard residential septic tank in good condition should be pumped about every three years. By having Abbott Septic pump your septic tank, you can be confident that you are getting your tanks as empty as possible in accordance with the recommended best practices for septic system maintenance. We completely remove all liquids and sludge from tanks, clean the effluent filter when accessible, and look over the system to check for water surfacing, odors, plumbing problems, and other signs that might indicate an issue with your septic system. By looking for such problems, we can often address the underlying issue before it can become more damaging, inconvenient, and/or costly. 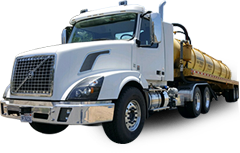 Call today to schedule septic pumping in Vista, San Marcos, Ramona, Poway, Escondido, or other nearby area. We can provide service within one or two days for exposed tanks that are easy to access, and within a week or two if the tank needs to be located or dug up. If you suspect that your septic tank system is in need of repairs, give Abbott Septic System a call. 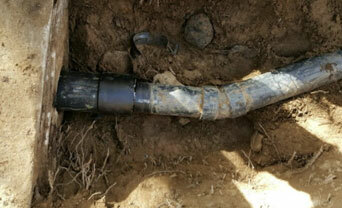 We will send out a highly experienced technician to evaluate your septic tank and drainfield. In many cases, the tank will have to be dug up in order to accurately diagnose and/or fully resolve the issue. We're able to repair rusted/damaged baffles, rotted decks, broken lids, leaking pipes, sludged up leach fields, and more. By offering comprehensive septic tank repairs, our clients can often save thousands of dollars be restoring their existing septic tank rather than replacing it. 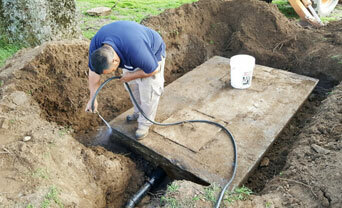 Call today to schedule septic tank repairs in San Marcos, Vista, Escondido, Ramona, Poway, or other nearby areas. We perform all work to code, and provide a one-year guarantee on all septic tank repairs. Abbott Septic is able to find septic tanks on any property in San Diego County. We've had success locating septic tanks on multi-acre lots, buried under 20 feet of dirt, and hidden beneath pools and homes. We've located thousands of septic tanks over the last seven decades and are confident we'll find yours. 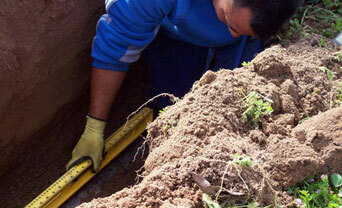 To find forgotten or lost septic tanks, we employ state-of-the-art electronic locating equipment. Once found, we record its location and can dig it up and even install a riser and lid for easier access in the future, so you can get back on schedule with regular pumping and cleaning. We can also inspect the septic tank and perform repairs if necessary. 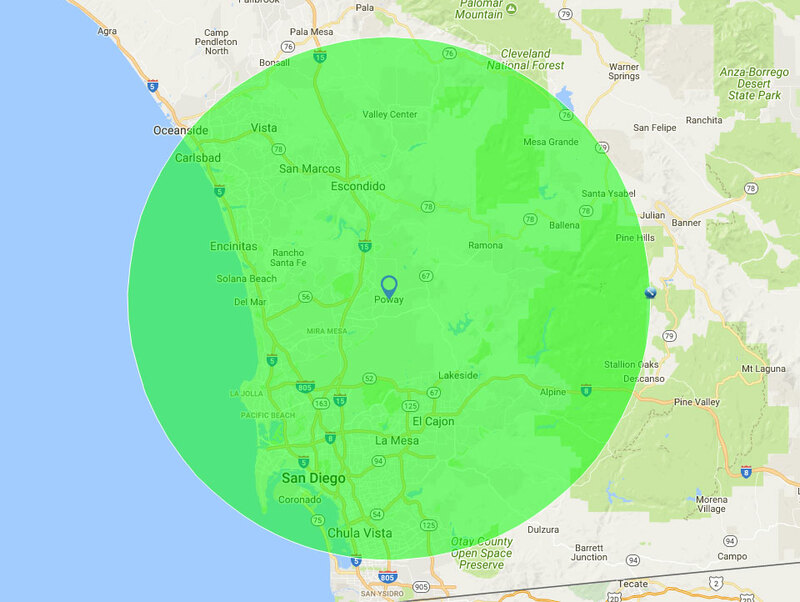 Call today to schedule septic tank locating in Vista, San Marcos, Ramona, Poway, and Escondido. To ensure that you get a high-quality septic system at a fair price for your Vista, San Marcos, Escondido, Ramona, or Poway home, call Abbott Septic Service. We're one of the most trusted and experienced general engineering contractors in San Diego County. We're fully licensed and insured, and we have an excellent track record for performing septic tank installations according to the highest of industry standards. As part of our service, we will handle everything from design and permitting, to demolition, excavation, trenching, pipe laying, tank/system installation, backfilling, and service hook up, to arranging the final health inspection. If you have an existing system that you believe needs to be replaced, give us a call today. Because we've helped countless other clients extend the life of their system (by repairing pipes, re-casting concrete decks, adding leach lines, etc. ), we may be able to help you save thousands by repairing your system rather than replacing it. Abbott Septic Service can issue septic tank certificate of inspections to meet lender requirements. We work with realtors and homeowners throughout Vista, Escondido, San Marcos, Poway, and Ramona, and can schedule inspections on short notice. Our septic tank inspections involve a 20-minute water test and complete review of the visible parts of the system in order to generally assess its functionality and structural integrity. If problems are found, we'll recommend further investigation by a qualified contractor. Call today.